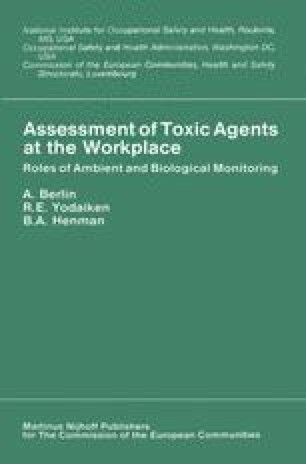 Major advances in the conceptualisation of environmental surveillance for determining employee exposure are discussed, including the strategy of sampling and the evaluation of total and respirable dust. The acceptance of personal samplers worn by individual workers and their role, as well as that of area samples, is now well understood. The availability of personal samplers specific to chemical agents is limited and requires vigorous development. Record-keeping has advanced to include computerised data retrieval systems for environmental and medical surveillance data. A plea is made for international exchange of surveillance data in order to judge efficacy of control methods and to broaden the population base for epidemiological studies.